The Peoples Democratic Party (PDP) has said President Muhammadu Buhari will not save the All Progressives Congress (APC) governors from “a crushing defeat” in 2019. 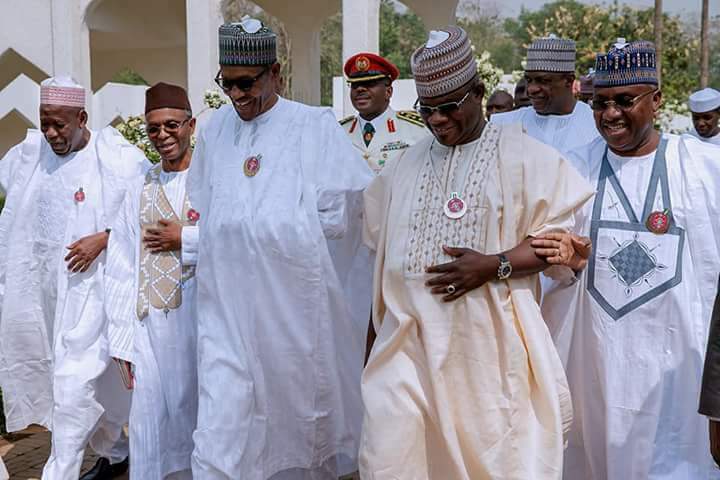 The major opposition party said APC governors had been rushing to Abuja to meet Buhari in order to have soft landing in 2019 because of their alleged poor performance. In a statement yesterday in Abuja, the PDP National Publicity Secretary, Kola Ologbondiyan, also challenged the APC to immediately test its popularity among Nigerians by conducting free, fair and credible local council elections in states under its control. “Instead of facing the people, APC governors who are now scared stiff of the looming disgrace awaiting them are busy running to Abuja for help forgetting that the President Muhammadu Buhari-led presidency will also face an inevitable crushing defeat in 2019. “The APC knows it cannot face the more than eight million Nigerians it has rendered jobless with its reckless policies. They know that judgement awaits them from thousands of workers who were unjustly sacked in the states where APC governors rule, particularly Kogi and Kaduna. “We all know that the APC is mortally afraid of going into any election, particularly at the grassroots as Nigerians across board are bitter with them for their deceit and the wrecking of our once robust economy. “Nigerians are also at pains over the poor welfare direction of the ruling party which has resulted in the penetrating hardship now being suffered under the APC-controlled Federal Government,” the statement said.